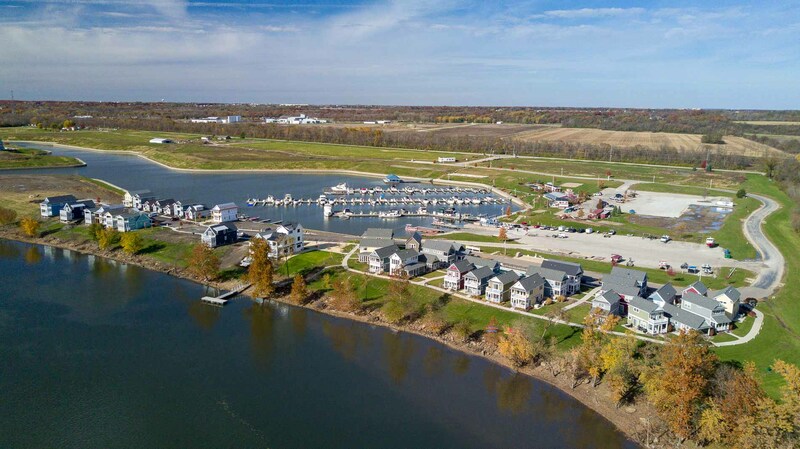 Commercial & Residential Development Opportunities | Inland Real Estate Commercial Brokerage, Inc.
Inland Real Estate Commercial Brokerage, Inc. is exclusively representing the sale of Commercial & Residential Development Opportunities within Heritage Harbor in Ottawa, Illinois. Select area for development (pods) will be available for purchase to qualified developers. Heritage Harbor is an established 142 acre master-planned resort community directly on the Illinois River. There is a 32 acre deepwater protected harbor with 142 premium boat slips with the ability to expand up to 450. Currently there are 110 residential units that have been built and sold with the ability to expand to 500+ units. Developers can acquire shovel-ready sites and purchase lots in bulk. THe property is located in an existing TIF district with the ability to build multi-family, single-family, hospitality, boutique reatil, and storage. Heritage Harbor amenities include: Red Dog Grill, Harbor and River Walkways, 3 separate pools, white sandy beach, volleyball court, marina concierge services, water sport rentals, a tiki bar and so much more. Located in the heart of "Starved Rock Country" along the I-80/1-39 Corridor. Enjoy resort style amenities and living less than 90 minutes from Chicago, without any of the traffic. Call Broker for specific areas of opportunity and pricing. Visit Heritage Harbor via the link below!